In the auditorium of Cooper Medical School of Rowan University Thursday, Meg DuPont Parisi explained to an audience of about 100 medical professionals how an addiction to prescription opiates killed her son, Patrick. First exposed to morphine following reconstructive hip surgery at age 7, her son later admitted he needed help. After five trips to rehab, he overdosed in 2011 on the campus of Fairleigh Dickinson University in Madison. He was 21. “I am here to tell you that my son Patrick would have said anything you wanted to hear to get his pain medication,” said Parisi, a Mantoloking resident. Parisi was among the experts gathered in Camden to discuss New Jersey’s epidemic of prescription drug abuse at the Partnership for a Drug-Free New Jersey’s Do No Harm symposium. The conference was among three to educate health-care providers about their role in preventing abuse. Drug overdose is now the leading cause of accidental death in New Jersey, according to the state Board of Medical Examiners. A key part of prevention, doctors were told, is using the state’s prescription monitoring program. Overseen by the N.J. Division of Consumer Affairs, the electronic database collects information from pharmacies on controlled dangerous substances and human growth hormones dispensed in New Jersey. Launched in 2012, the database is used by nearly 3,000 pharmacies statewide, and accessed by more than 12,600 medical professionals. Doctors can check the database to see if their patient has been prescribed painkillers elsewhere, and the state can mine the database for patterns of abuse. In one example, flagged by a physician, a patient managed to obtain a 10-year supply of the sleep aid Zaleplon within 121 days. Watching for potential abuse is part of good, patient-centered care, explained Dr. Michael A. Kirchhoff, assistant professor of emergency medicine at Cooper Medical School. He praised the database as a useful tool for busy physicians. “Opiate addiction and this epidemic is really no different than any other medical epidemic,” Kirchhoff said. Dr. Eric E. Kupersmith, who leads the Division of Hospital Medicine at Cooper University Hospital, recounted the story of a longtime patient with painful sickle cell anemia who came to the hospital lobby and asked him to write a quick prescription for 100 Percocets. Asked directly if he planned to sell them, the patient admitted he would. Kupersmith never saw him again. 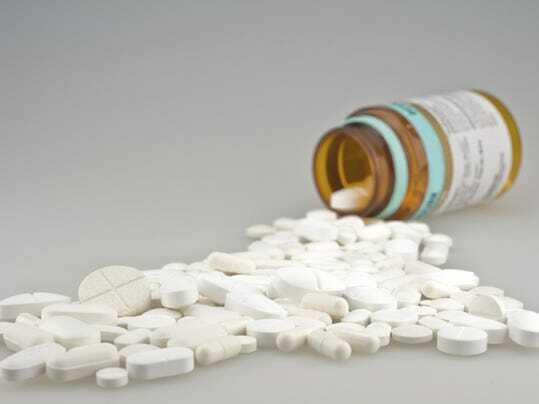 Most patients who abuse prescriptions are first exposed to them for legitimate purposes, Kupersmith said. Still, he said, doctors must balance between catching potential abuse and appropriately treating pain.